Bus, bike, boat, or by foot, these operators can show you the sights. Into preservation? Make a reservation. Tours can sell out fast at Preservation Detroit, whose award-winning Detroit Heritage outings have educated and entertained thousands over the years. The society’s annual Movie Palaces of Motown walking tour is particularly popular, as are its bootlegging river cruise and cemetery tours, held each fall. 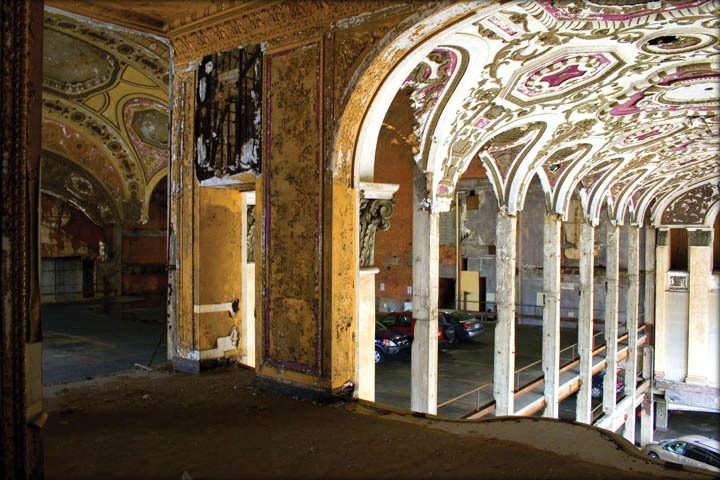 The organization, Detroit’s oldest and foremost architectural preservation society (it was founded in 1975 as Preservation Wayne), isn’t alone in celebrating what has come before us. 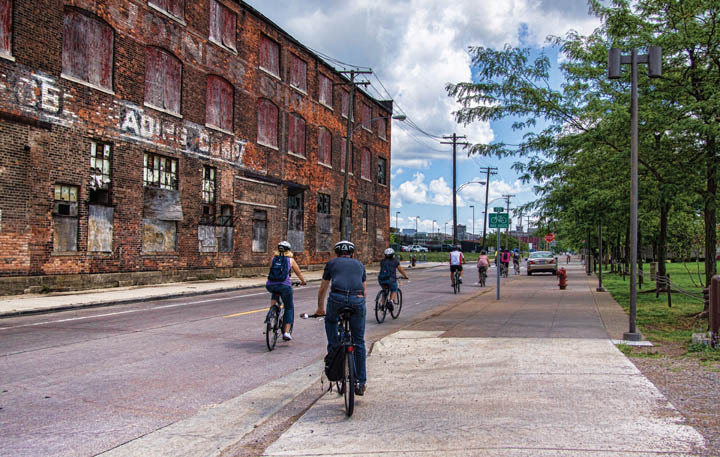 Other tour operators have seen a future in exploiting the Motor City’s rich past. No matter what your level of adventure or area of interest, there’s probably a tour to suit your taste. If not, consider having one built. In addition to conducting regularly scheduled excursions, most of the operators listed here also offer private, individualized tours hosted by a knowledgeable guide. Although the society prefers to be acknowledged for its advocacy, it’s better known for its slate of expertly guided historic tours. Every Saturday at 10 a.m. and Tuesday at 5:30 p.m. from May through September, volunteers conduct two-hour walking tours of downtown, Eastern Market, the Cultural Center, and Midtown. The cost is $10 per person. The more comprehensive specialty tours include Detroit’s auto heritage sites and the city’s oldest cemeteries. 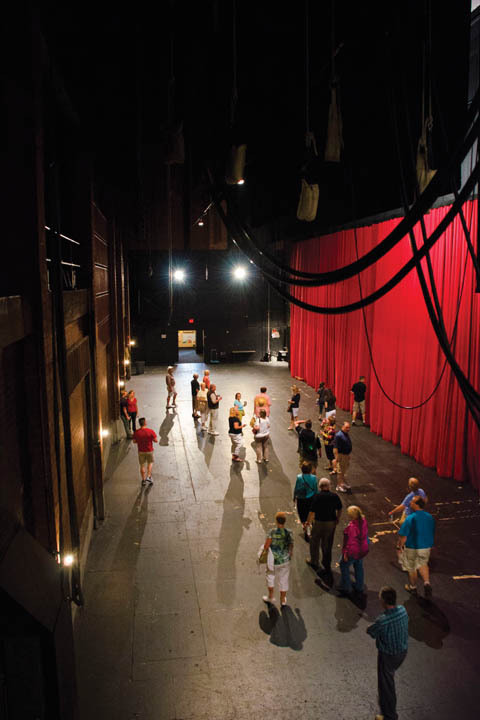 This year’s four-and-a-half-hour movie palaces tour takes place Aug. 31. 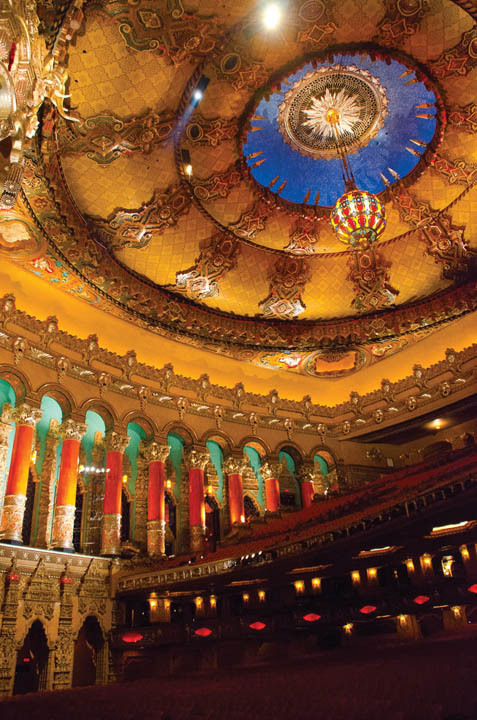 The $45 cost includes visits to eight classic theaters and a box lunch at the Detroit Opera House. 313-577-3559; preservationdetroit.org. With such suggestively titled offerings as Detroit Dives, Frontier Anarchy, and Drunks of Antiquity, this company’s tours promise a rollicking and less reverential take on local history. Each four-hour exploration of raffish bars, decaying buildings, and pre-automotive haunts costs $42, plus whatever one spends on, um, extras. A driver, tour guide, and conductor come along to make sure everybody gets safely back on the bus, no matter how much history they drank. 313-444-2871; thedetroitbus.com. No rickety school bus here. Stewart McMillin, a retired educator and longtime Indian Village resident who has been enthusiastically conducting reasonably priced local and out-of-state tours since 1968, shuttles tourists around town in a comfortable coach bus. 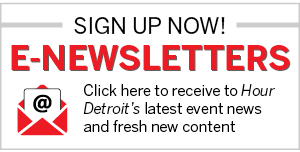 His most popular excursions explore the homes of Detroit celebrities and the sites of the Underground Railroad. 313-922-1990; mcmillintours.com. of all skill levels are invited to join one of the various tours conducted between early April and late October by this bicycle shop on the RiverWalk. The cost is $25 and is BYOB (bring your own bike). If you need to rent some wheels, add $10. The 5-to-30-mile excursions explore neighborhoods, Eastern Market, churches, cemeteries, and parks, with frequent stops. 313-656-2453; wheelhousedetroit.com. Bob Goldsmith has been organizing tours centered on skyscrapers, sports, and dozens of other topics for a full decade. The urban expeditions, most of them led by Goldsmith, take place on foot, or via bus or the People Mover. 313-283-4332; detroittourconnections.com. The local arm of Intrepid Urban Adventures, which conducts tours in cities all over the world, features a pair of guided walking tours of downtown. One focuses on the highlights while the other explores the city’s rise, decline, and ongoing revitalization. Each tour lasts two hours and costs $26. 313-701-1900; detroiturbanadventures.com. These boat cruises offer a different perspective of familiar landmarks on both sides of the Detroit River. 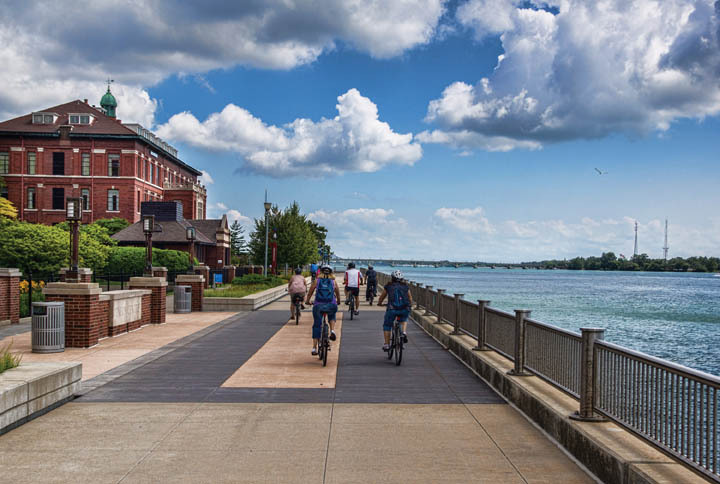 The two-hour narrated cruises launch from Rivard Plaza downtown and Wyandotte’s Bishop Park twice each afternoon, Thursday through Sunday, all summer long. Tickets are $13-17. There are no reservations. Seating is on a first-come, first-served basis, so it’s suggested that on nice days you arrive at least a half hour early to stake your place in line. 313-843-9376; diamondjack.com. This National Historic Landmark, the only early auto factory open to the public, is open to the public Wednesday through Sunday between April and October. The three-story, red-brick birthplace of Henry Ford’s iconic Model T remains virtually unchanged after a century; the chief difference is that it now costs $10 to enter it. Tours of at least 10 people can be arranged anytime. 313-872-8759; tplex.org.